I am in the process of winterizing the toys for the year. The weather has turned wet and rainy a little earlier than usual. But as I reflect on the year it was a really fun summer. 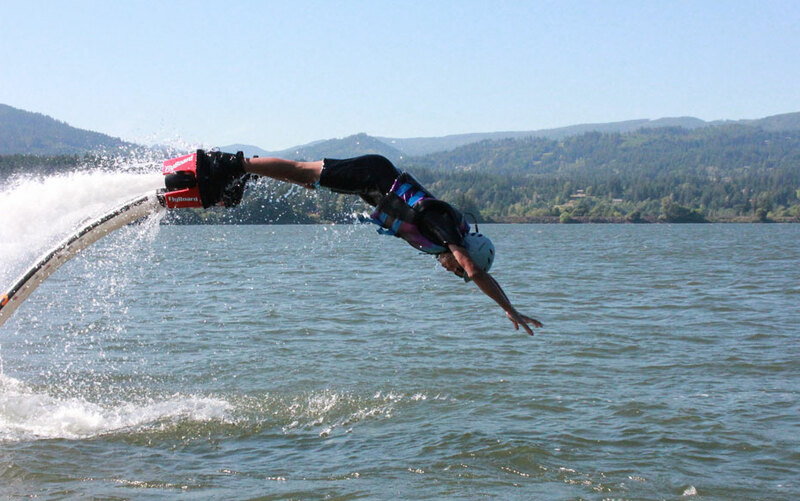 Lots of people came to Cascade Locks and Hood River to experience Flyboarding for the first time. There were also those who came for their second and third times and they had a blast. We are heading back to Maui in a couple weeks for the winter. As you may know, we have lived there since 1998 and only began coming back to Oregon when we opened our flight center here in the Gorge. We really do have the best of both worlds and we never take the privilege for granted. I take my FlyBoard with me and have a few days during the year that I can enjoy flying in the warm sun and water. We will reopen again in May 2017 and look forward to seeing old friends and teaching new ones. Thank you all for supporting Gorge Flyboard.